LAKE MACBRIDE— The trouble began with the bountiful harvest of local produce last year. The larder was filled to the brim, and we had fresh vegetables until this month. 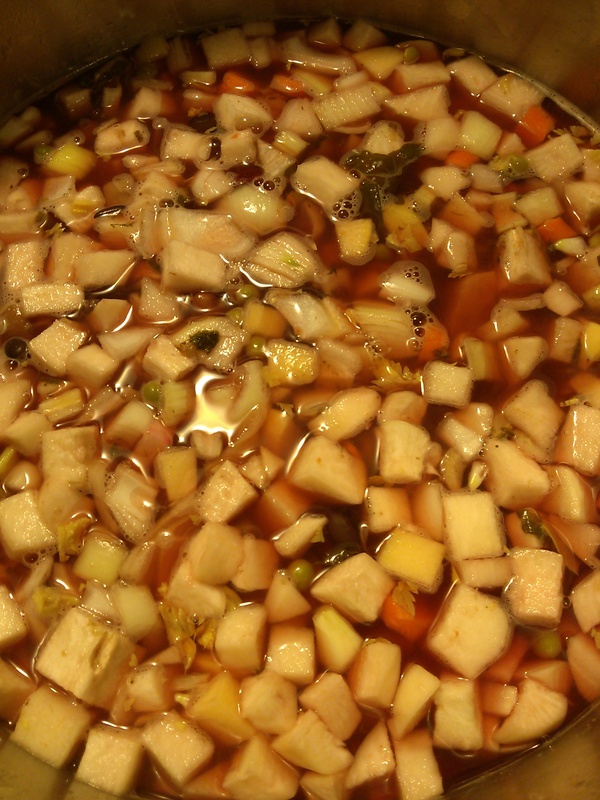 In the end, I made a gigantic pot of soup, filled with root vegetables, onions, and a host of other ingredients. It is delicious, and I’m tired of it at the same time. There is another gallon left in the fridge and freezer. I want to be working and dining from outdoors, and until this past weekend, that proved to be impossible. Indoor pantry cooking has becomes too quotidian. If we were living on a subsistence basis, we would be okay. There’s more to life than that. So to get out of the early spring doldrums caused by the delay of warmer temperatures, here comes a series of posts to alleviate the sad state of cookery that has befallen this kitchen.